If you haven’t decorated your Christmas tree already, most will be thinking about decorating the tree as soon as the Thanksgiving holiday is over. I wasn’t quite ready to put my tree up yet but we are celebrating Christmas along with Thanksgiving with my side of the family. So, to add a little Christmas festivity along with my Thanksgiving decor, I only decorated our fireplace in the basement since this is where our partying will take place. 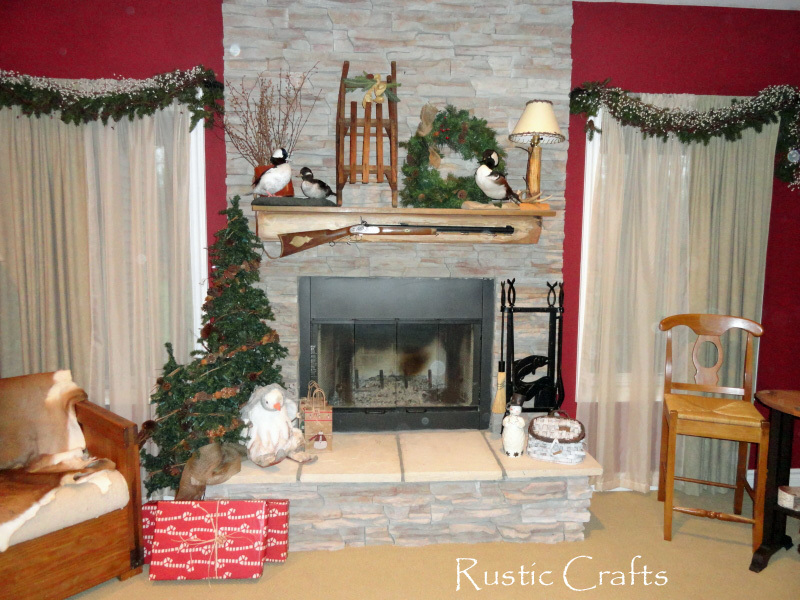 I had a small artificial trio of trees that I put on my hearth and simply added some grapevine and pine cone garland. It is also pre-strung with clear lights which I will turn on for the party. For a little more winter fun, I added my favorite birch penguin, on skis, to sit under the trees and guard the gifts. I just had to put out my birch Christmas moose too! Now, if you are itching to get started with your Christmas tree decorating, I found some fully decorated rustic trees that will be sure to inspire you! I know I will be ready to put up my main trees right after Thanksgiving. 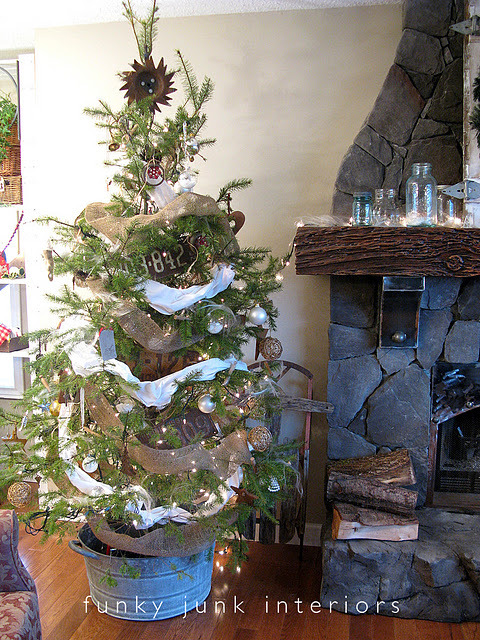 This first tree by Sweet Something Design is packed full of rustic goodness. I think my favorite part is the grapevine garland that came from taking apart a wreath! 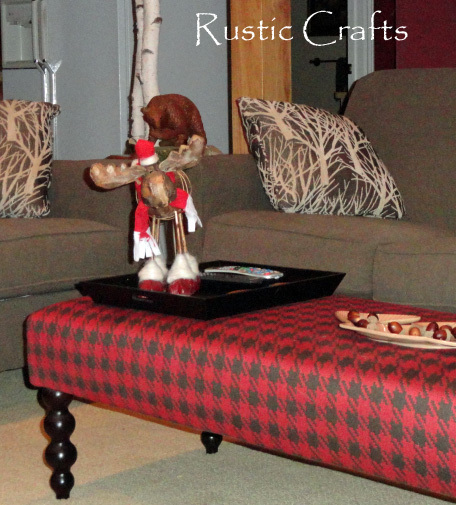 Check out her blog to see what she has under the tree – I love it! Southern Living put together this beautiful tree that is adorned with bird nests, pine cones and berries. The berries add a nice amount of color to this otherwise neutral tree. The bird nests add a homey touch to this nature inspired tree. 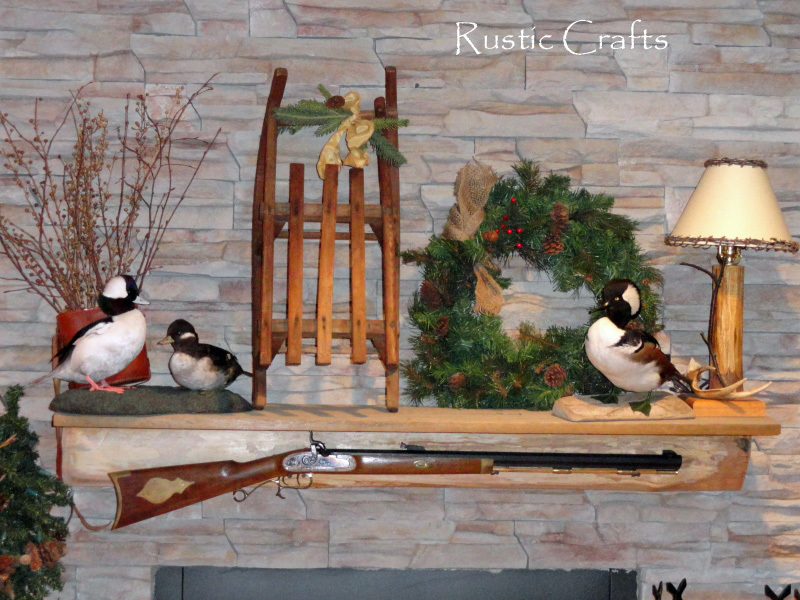 Visit their site to see how you can make your own decorative bird nests. Gather your old junk for this amazing tree idea by Funky Junk Interiors! I love, love, love all of the rusty pieces, the burlap garland, and the metal bucket to set the tree in. This tree fits in perfectly with a rustic setting. You have to check out the blog to see all of the cool ornament ideas up close! Here is an interesting idea by Country Living. 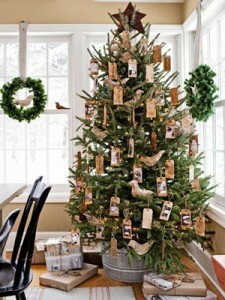 The tree is made rustic with birds and a big rusty tin star and then further adorned with rustic message or photo tags. This simple idea is sure to create nostalgic memories. 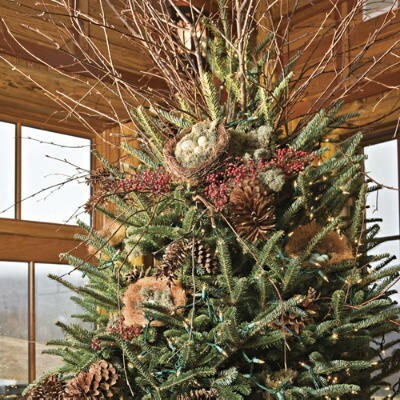 Hopefully you were inspired by all of these rustic decorating ideas for your Christmas tree. Now all you have to do is go out and find your tree! 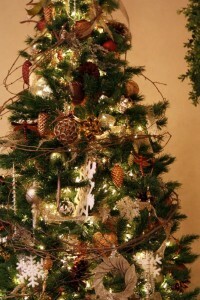 love the rustic Christmas tree. Can you let me know the items no the tree. It is the tree with the snow flakes.